Well, I supposed I've lurked long enough. Howdy, Y'all. I'm Travis, now a long time Five-seveN adherant since I won this one in a card game with Han Solo. He was strangely happy to part with it, like he killed someone in a bar with it or something. Curious. Thanks to the community here for the years of guidance and insight into my favorite Blaster Pistol. Happy New Year folks! 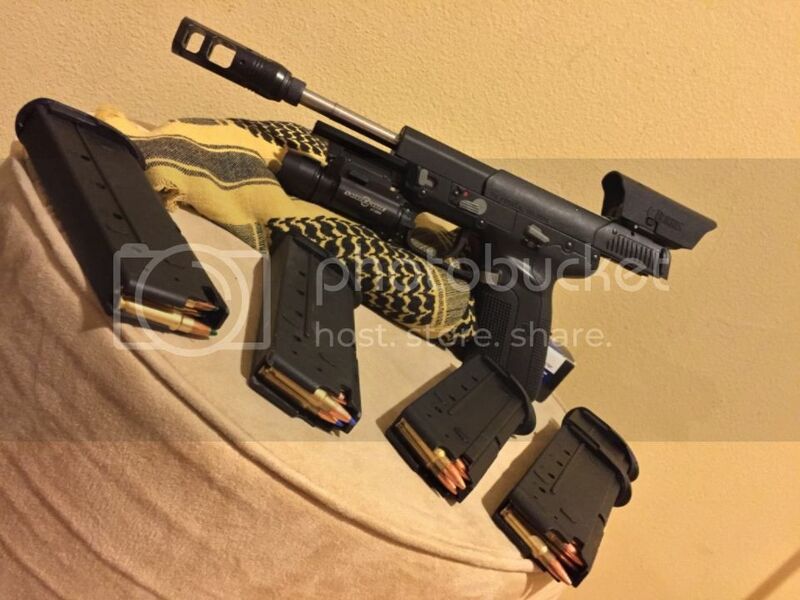 I just joined the FN forum. 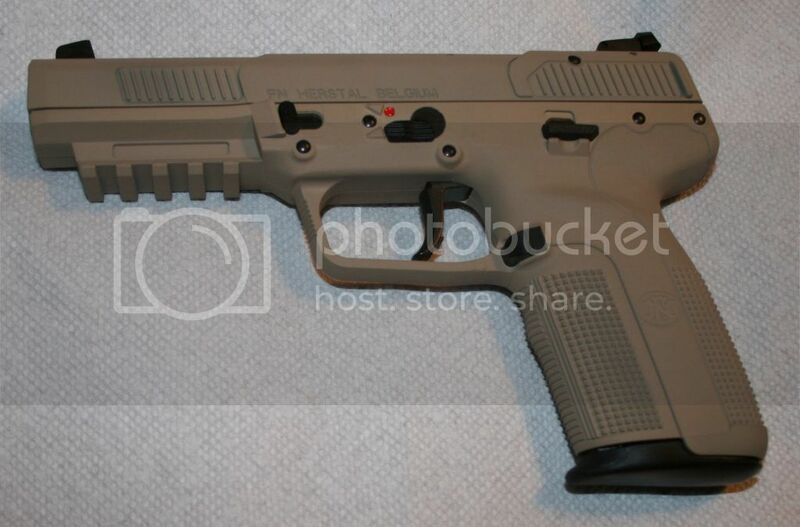 I have been doing a lot of research on the Five Seven. It was next to impossible to find one locally. SO i started calling all around the country. I even called places that had five sevens for sale online at gun brokers.com and gunsamerica. Even though they had an ad online, they didn't have one when I called. I finally found one in Florida and bought it. It's being shipped to a local FFL. 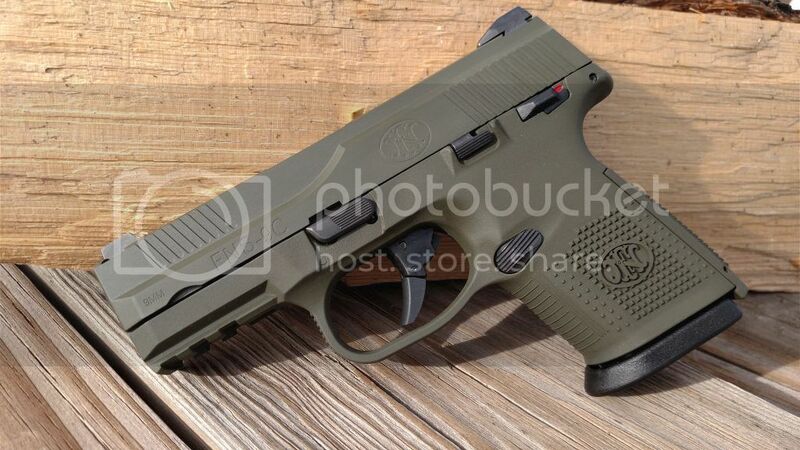 I cannot wait to get this gun in hand, literally. Happy New Year and welcome to the forum! I somehow missed this section. I am Don in Reno, NV, USA. I own a FN Five-Seven pistol, AR-57 and a PS-90. I did a search and found this forum. Welcome! Nice bunch here. Enjoy. Was on another FN forum that got hacked or something and won't let me back on and the email thing isn't responding so figure its dead...frustrating since I WAS a supporting member. Googling for info found this one so signed up. Own a FN 5.7 and an FNS-9C very happy with both after many disappointments with pistols from other manufacturers. Last edited by Riverkilt on 27 Jun 2016, 06:44, edited 1 time in total. You did post but initial posts have to be approved before they can be seen due to too many spammers & bots. Anyway, welcome to the forum. We'd love to see the Cerakote jobs. Also, since you basically made 2 initial posts, I deleted the second one. And the pics should post now, if not let me know, we'll see what we can do. Im Brett from Australia, an ex vet who collects handguns and odd firearms. So far ive only 12 and do my own reloading. Sweet welcome to the forum! I caved and bought an FN 5.7 2 weeks ago, making it my second FN handgun. The other is an FNP-40. I am a reloader, Conceal Carrier, and competitive rifle shooter. I don't shoot pistols near enough IMO. I finally started reloading for pistols this year, and have been improving in that regard. I upgraded the barrel to an EFK 5.7" threaded so as to use my Silencero sparrow...I'm surprised at how loud the pistol is even with a suppressor. 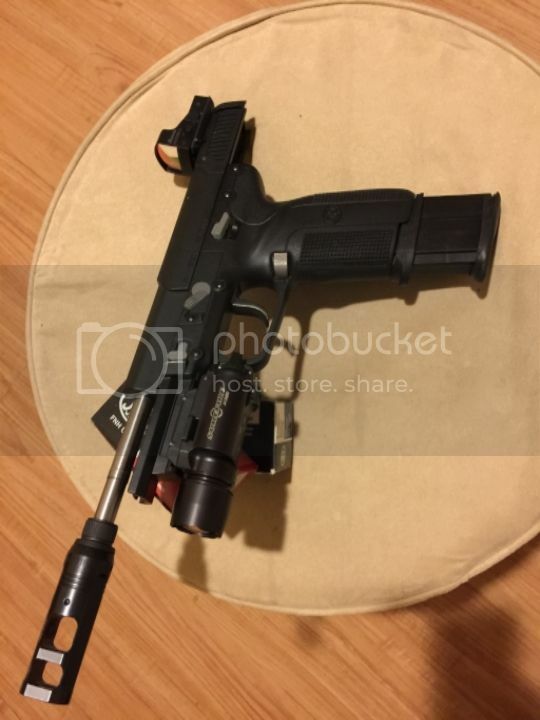 Looking to learn more about the pistol and share experiences. Awesome, Zeke; what kind of rifle competitions do you enjoy?